- MOOV NOW talks you through your other workouts with real-time audio coaching for running, cycling, cardio boxing, body weight (Moov 7 Minute+) and the most advanced swim tracking available. - A wearable fitness coach that actively monitors your tendencies, advises you on how to get the most from your workout, tracks your progress, and motivates you to achieve your fitness goals. - Up to 6 months battery life and a waterproof! Band is lightweight and breathable. Wear it on your wrist or ankle or wear two. - Only Moov's Omni Motion sensor uses 3 times the sensors used in basic fitness trackers, allowing it to track your motion in 3D. 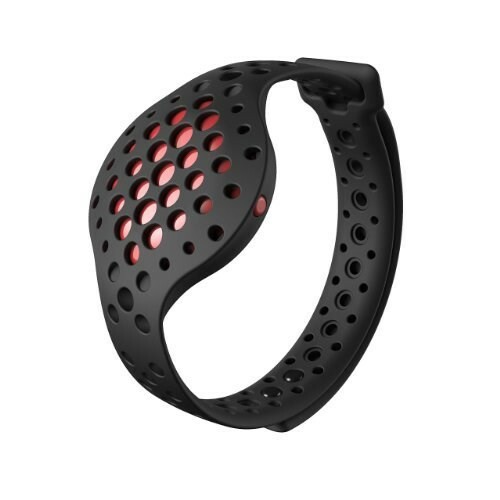 - Stay motivated with intense activity and sleep tracking. The New 2016 Edition features a new more durable and secure band! Imagine you're running when you hear a voice chime in your ear, “You’re 10 meters behind your target. Push a little harder, you can still beat your goal.” Only MOOV NOW measures your exact movement and analyzes it in order to coach your form and efficiency. With MOOV's real-time audio coaching pushing you to improve throughout each workout, bringing your fitness and workout experience to a whole new level. With the free MOOV app, we offer free guided programs in sports including running, cycling, swimming, body weight training, and cardio boxing. MOOV NOW for swimming offers the most advanced swim tracking and stroke detection available so you can focus on your swim, not counting laps.